Once again, not too much work going on here (on my part). Just a few rinses today. Take a look at the growth! I hope you’re enjoying this little series on sprouting 🙂 Am I inspiring anyone? 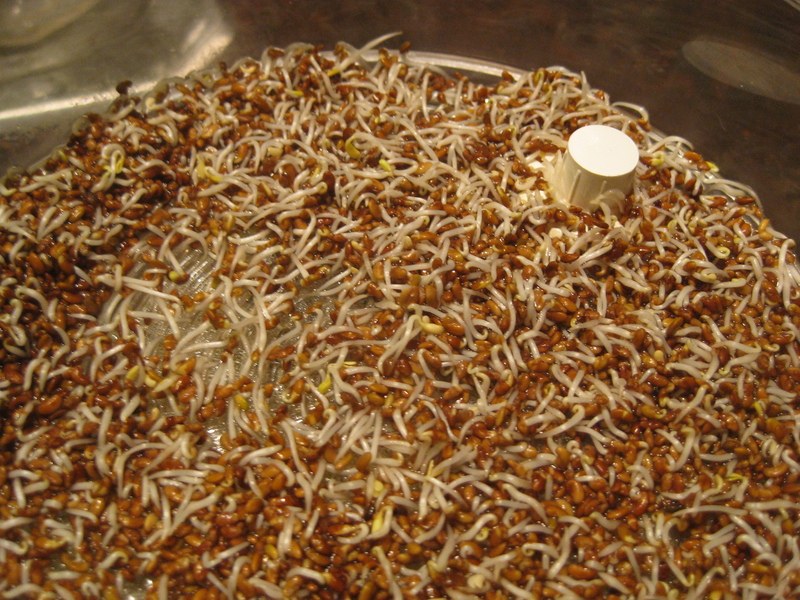 Categories: Wellness | Tags: food, sprouts | Permalink. 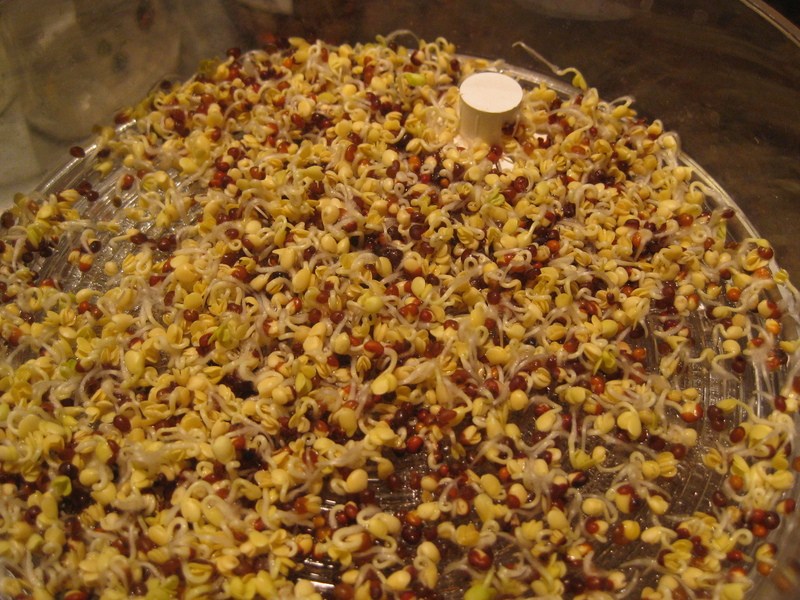 I just finished giving my sprouts their second rinse for the day. Sproutpeople– a company I came across that has had a lot of experience in growing sprouts- recommends using water that is between 60-70 degrees Fahrenheit, and using a lot of water. Sproutpeople also doesn’t recommend the sprouter I have due to some functionality issues. But it’s been working just fine for me, and I don’t intend to go out and buy a brand-new one. 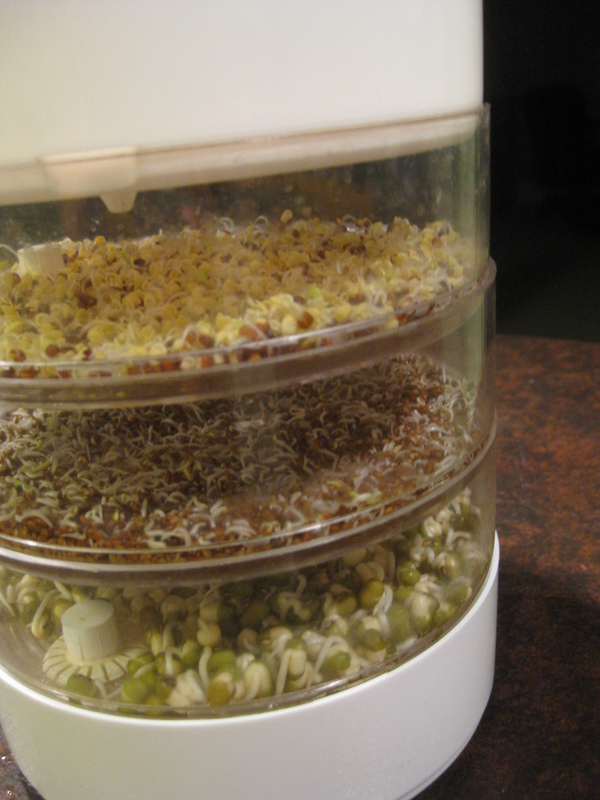 Rinsing sprouts 2-3 times daily gives them the proper moisture that they need to germinate and grow- creating the little nutritional powerhouses of protein, fiber, and antioxidants like vitamin C.
In addition, it is important to make sure that the water is drained off so that the seeds are not sitting in stagnant water to prevent growth of pathogenic microbes such as Salmonella or E. coli O157:H7. Any food you eat could be potentially risky, so I simply recommending that you make sure to rinse regularly and follow basic kitchen hygiene. 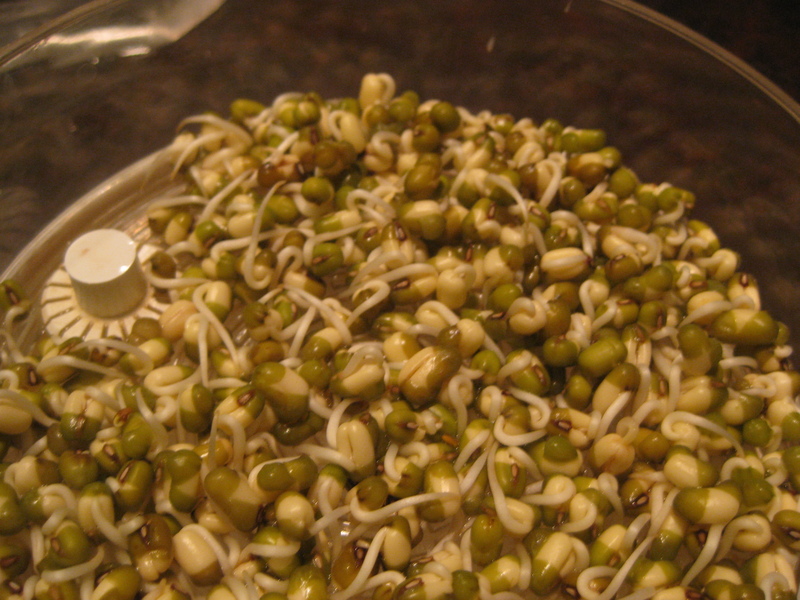 Because of the potential for growth of these organisms, the very young, elderly, and those with compromised immune systems are recommended to avoid consuming raw sprouts. 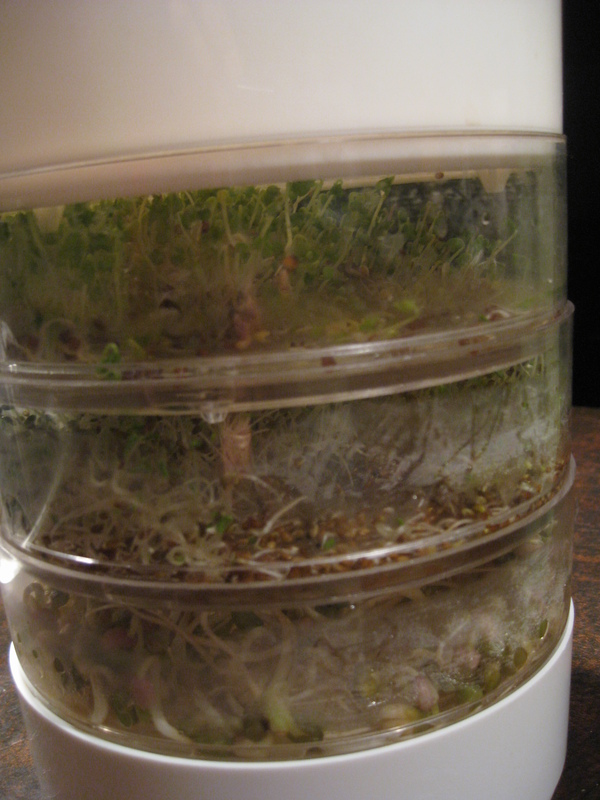 You can see the little sprouts starting to burst through the casing. It’s just a little… but it’s a start! You can’t see too much happening here with the alfalfa seeds, but just wait another day or so. And the broccoli has begun bursting out pretty rapidly. All of the seeds have definitely swollen since last night. I keep the sprouter in the middle of my kitchen. There isn’t very much natural light available, but they seem to do just fine. Note: Sprouts were featured in the Food and Nutrition Magazine by a few other dietitians last year if you feel like checking out what they had to write. 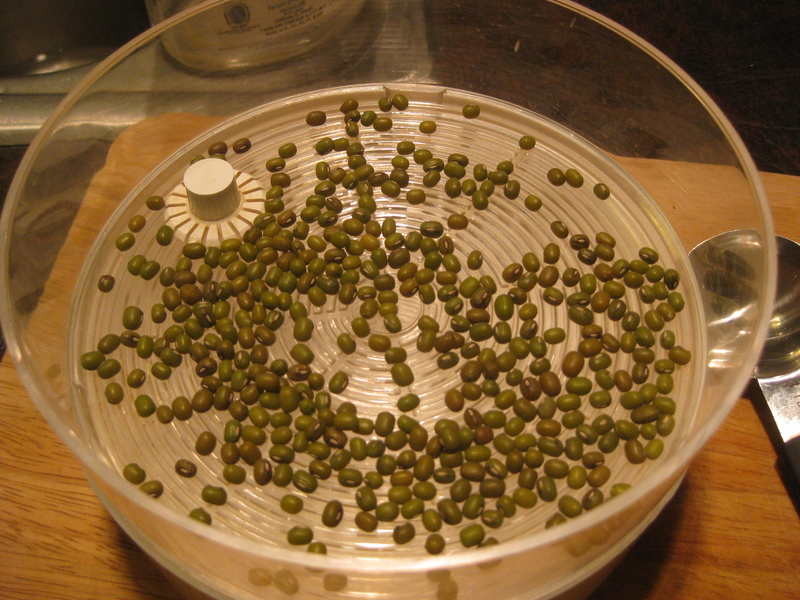 Categories: Food Safety, Wellness | Tags: food safety, health, sprouts | Permalink.